Fireplaces give homes a feeling of luxury, coziness and elegance. They are so popular that many owners add outdoor fireplaces that extend indoor living space. That often makes it possible to enjoy outdoor gatherings in cold weather and turn patios into year-round entertainment areas. Fireplaces may be used for cooking, warmth or just to add a cheerful glow. 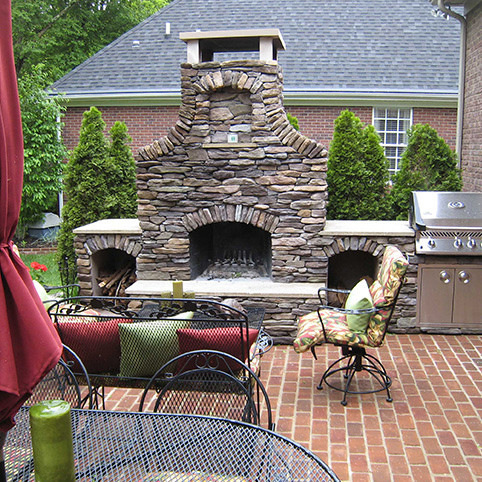 As a bonus, an outdoor fireplace can increase property values and help a home sell faster. Outdoor fireplaces have traditionally been built by stone masons. Today it is just as common for homeowners to buy outdoor fireplace kits which they assemble themselves. The trend is popular because it allows for easy customization and is often budget friendly. Quality suppliers also provide kits in a huge variety of styles and sizes. While some homeowners take on the projects themselves, others hire contractors to build their kits. Since kit manufacturers provide detailed instructions, it is possible for most people to create good-looking, functional outdoor fireplaces. However, careful planning is the key to finished projects which are functional and good looking. Before going shopping it is important for buyers to understand the types of kits and then consider which will fit their needs. For example, they should decide the best size and style for their property as well as the type of fuel they want to use. It is also important to factor in the budget, ease of maintenance and safety considerations. Fireplace kits are generally divided into masonry and modular products. These include full fireplaces as well as chimineas and open fire pits. Kits are typically less expensive than traditional fireplaces and consist of components that have been created in factories. Manufacturers provide all of the basic building materials as well as instructions. Even the most elaborate fireplace kits can be built more quickly than traditional styles. Each type of kit has its own benefits and comes in a variety of styles, making it fairly simple for buyers to find one that fits their needs. Suppliers will offer dozens of products that generally fall into one of the following categories. Kits include bricks or stone, which can be mortared or dry-stacked in place. Many clients hire contractors to build them because of the necessary mortar work. However supplier-provided directions are designed so that anyone with reasonable building skills can follow them. Customers can choose from options that include Olde English Wall, brick, concrete block, mosaic and rustic stone. Pre-Cut Materials – Blocks or bricks are cut and pre-sized to the precise specifications of the fireplace. Homeowners do not need a chisel or saw in order to fit building materials. Pre-Labeled Materials – Every brick or block is labeled so that it is simple to see where it should be placed. Pieces can just be stacked according to a diagram. All Necessary Components – Kits include everything needed to create a finished look. They typically include mantels, bricks, mortar, and hearths. Homeowners often choose modular kits when they want a sleek, contemporary look or just the easiest fireplaces to build. Each kit includes large pieces that are fitted together to become a free-standing fireplace. Although there aren’t as many types of modular kits as masonry, several suppliers offer variations. They include curved, arched and straight styles. Modern Styling – Fireplaces have a sleek look that is ideal for those who do not want a classic or rustic look. Quick Assembly – A minimum number of pieces fit together to create a complete, functional fireplace. 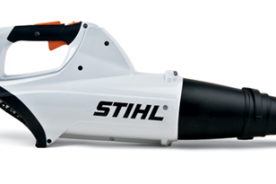 Cement-Free installation – The parts just lock together. A Light Finished Product – Kits include durable, beautiful materials that are lighter than traditional stone or bricks. Portability – It is simple to relocate a modular fireplace within a property or when moving away. Fire pits and chiminea kits are other options and ideal for those who want smaller, lighter, space efficient fireplaces. Chimineas are free-standing fireplaces which have concave bases, front openings and smoke stacks. Modern designs are based on original clay models that have been in use for centuries. Although clay is still used to make some styles, many of the most popular are now created from cast-iron. They are still portable and available in a wide range of sizes, colors and materials. Open fire pits are small and usually shaped like rings. They are easy to install and typically made of metal, concrete or stone and metal combinations. Fire pits are often used to provide design accents. They not only add a charming touch to any outdoor area, but can be used for cooking and warmth. Is it Best to Self Install or Hire a Contractor? Many kits are very simple and require few tools. Modular fireplaces can often be constructed and used within a few hours. However, not all kits designed for DIY projects are that basic. A masonry kit that requires mortar work may be too complex and time-consuming for the average homeowner. Those who want to build their own fireplaces will also need to consider whether they have the right equipment. For example, it may be necessary to add a concrete footer. A fireplace kit might also require tools which the homeowner does not own. Contractors not only build fireplaces efficiently but already have commonly required tools like trowels and levels and even construction equipment. 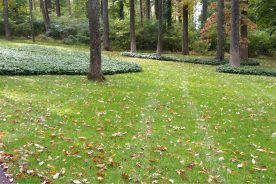 They know where it is safe to dig and can efficiently alter or build a patio. Professionals also understand regulations and will get any needed permits. It is a good idea to check all local safety regulations before buying a fireplace kit. It is also important to scout out safe locations. A fireplace needs to be close enough to the home to allow easy access but located far enough from structures to protect against hazards like sparks. Fireplaces should never block airways or be installed under rooflines or overhanging tree branches. Chimneys need to be 10-12 feet high and a minimum of 2 feet higher than anything nearby. Each kit also includes specific safety precautions. What Kind of Fuel Will the Fireplace Use? Pros – Provides charm, creates a lot of heat and can be added anywhere. Cons – Can be harder to get permits for wood fireplaces. They may smoke and they require chimneys. Pros – No smoke or chimney and is easy to light. Cons – Requires a gas line, does not produce as much heat as wood and does not provide an authentic ambiance. Pros – Efficient and portable, since tanks are easily moved. 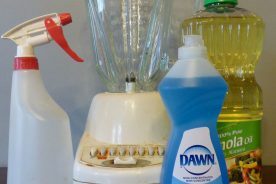 Cons – Can be inconvenient to refill tanks and is more expensive than natural gas. Pros – Cheap and plentiful in certain locations. Cons – Needs ventilation because it gives off carbon monoxide, can be messy. Burns very hot, so correct usage and care is important for safety. 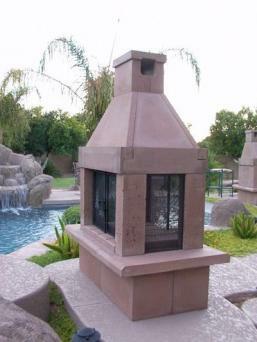 The best size for an outdoor fireplace is determined by how it will be used and by design considerations. For example, a large fireplace with a sizable hearth is the best choice for entertaining groups of people. An extended hearth can be used for additional heating, too. 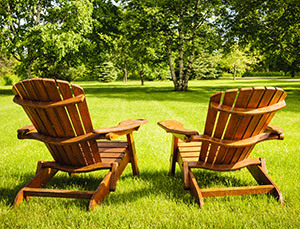 However, outdoor fireplaces that are as small as 3 feet deep and 4 feet tall can be ideal for couples or small groups. Home design and space also play parts in choosing a fireplace size. For instance, a tiny fireplace could get lost on a huge patio, while a large, elaborate model would overwhelm a small backyard. The home’s decorating theme is another factor. Fortunately, suppliers offer a wide range styles and sizes as well as guidance. How Will the Fireplace Be Used? 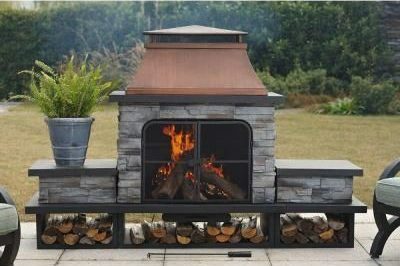 Outdoor fireplace features and benefits can vary widely, so choosing the best model depends heavily on what it will be used for and how often. Fireplaces that are part of outdoor entertainment areas are focal points that provide warmth and coziness and are typically used for cooking. They generally need to be fairly big. Models that are used year round usually also require storage space for utensils or even wood. When a fireplace is primarily used as a gathering place to roast marshmallows, sip beverages or just get warm, a simple, space-saving fire pit or chiminea may do the job. Should a Fireplace Be Permanent or Portable? Although most homeowners want to install long-lasting outdoor fireplaces, some deliberately choose portable models. Fireplaces made from kits do not last as long as those constructed from scratch using mortar and bricks. However, fireplaces build using well-made masonry kits will endure for many years. They are ideal for homeowners who intend to use their fireplaces often and want them to last. However, customers who intend to move from their homes or just change their fireplaces’ locations will do better with more portable modular kits. They are light and easy to assemble and disassemble. Chiminea kits are also great portable options. 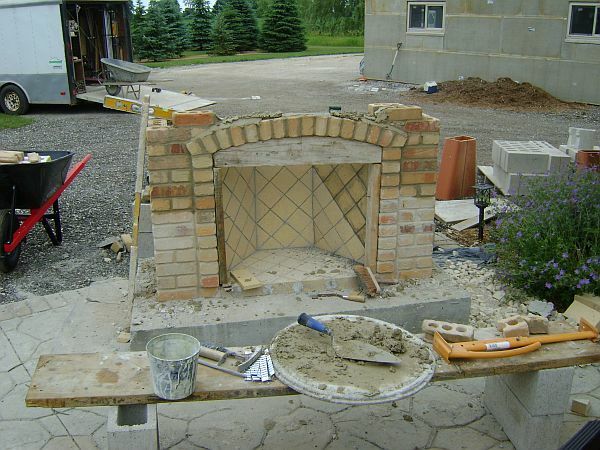 Fireplace kits cost less than traditional construction methods; however, final project costs depend on several factors. For instance, a simple fire pit or chiminea is typically less expensive than a detailed masonry fireplace kit or even some modular styles. The size of the fireplace also influences its cost. In addition, suppliers offer a variety of models within each type. Project costs can be affected by the type of material they are made from, delivery or shipping fees and charges for utility hookups. While there is no such thing as an outdoor fireplace that needs no care, some are easier to maintain than others, which may be important when shopping. Any fire source needs to be cleaned regularly and inspected to make sure it is working correctly. That ensures that smoke is venting correctly and protects against dangerous sparks and noxious fumes. A shopper who wants to add a cozy fire that requires minimal upkeep might do well with a simple fire pit, rather than a large, complex fireplace and hearth. There is also the option to hire fireplace/chimney professionals to regularly clean and inspect fireplaces. An e-commerce retailer with more than 35 years in the Outdoor Living, Fireplace, Wood Stove and Chimney markets. 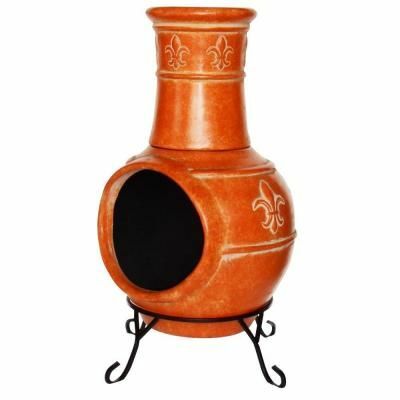 The business sells a wide range of products that include fire pits, fireplaces and accessories. They strive to constantly improve their stock and bring customers the latest products and innovations. Their fireplace kits include fully assembled and pre-packaged products in a variety of elegant styles. Website visitors can also find product videos, instructions and options like firebox extensions and waterfalls. 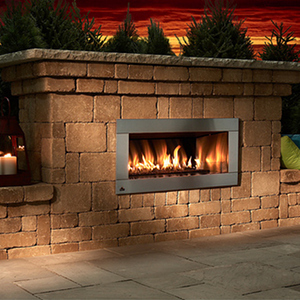 The popular home improvement store sells outdoor fireplace kits to fit every budget and taste. Their inventory includes everything from clay chimineas priced at less than $100 to stylish propane stone fireplaces with base costs of $4,500. Another exceptional home improvement store, Menards carries a full line of high-quality, affordable kits. They include stylish fire rings in a range sizes and colors. Shoppers will also find several fireplace kits that offer enough variations to make customizing them easy. 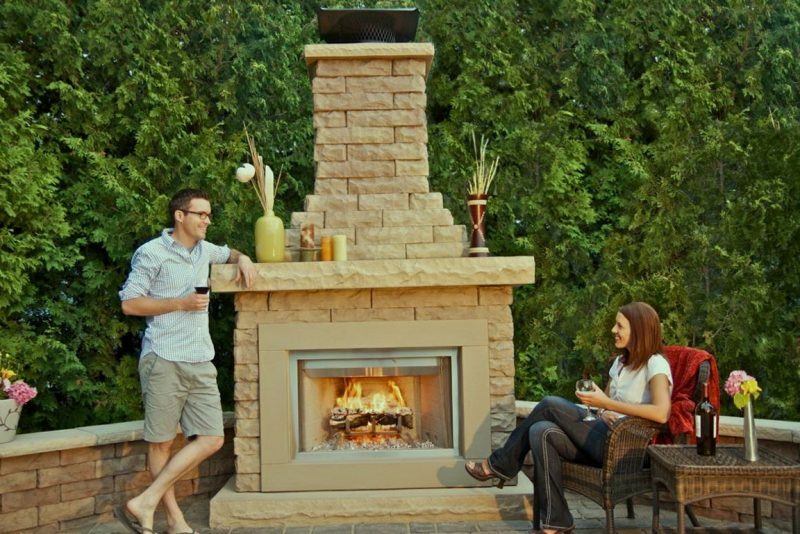 Outdoor fireplace kits have become popular alternatives to building projects from scratch. Kit manufacturers offer a wide variety of products in a range of sizes and styles. Although buyers do need to plan carefully before choosing a kit, it is easy to find products for every need. Homeowners can choose to follow manufacturers’ directions and build their own fireplaces or hire contractors. Kits generally cost far less than traditional fireplaces and take much less time to construct. It is also easy to find quality products, since there are many excellent suppliers that offer dozens of options.